In lieu of flowers memorial donations may be made to Nevada Senior Center and left at the funeral home. Ernest E. Nikodim, age 82, of rural Nevada, Missouri, passed away March 15, 2017, at his home. Ernest was born August 13, 1934, in Montevallo, MO, the third son of Rudolph and Anna (Trecek) Nikodm. Ernest married Barbara Harding on December 26, 1954. They were married for 53 years and to this union six children were born: Ernest Eugene, Darrell, Kathy, Susan, Debbie, and Mike. Ernest was a farmer and loved living on the farm. He also enjoyed traveling, and visiting with friends at the coffee shop. In addition, he liked woodworking, antique tractors, genealogy, running the family sawmill, country music, and activities at the Senior Center. 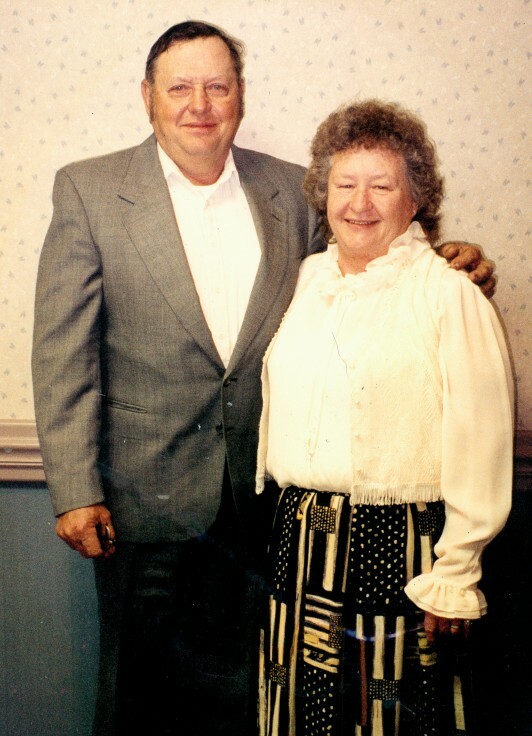 Ernest was a member of the Walker Christian church for many years and traveled to Haiti on several mission trips. He was a past member of the Studebaker club and enjoyed driving his car in several parades. Ernest was preceded in death by his parents, an infant son, his brother John, and his wife Barbara. Survivors include two sons, Darrell and (Julie) Nikodim, Mike and (Julie) Nikodim; three daughters, Kathy and (Mike) Newman, Susan and (Phil) Thompson, and Debbie and (Russ) Jensen; five grandchildren: Lacey Goins, Brian Nikodim, Brad Newman, Kayla Loyd and Chase Thompson; fourteen great-grandchildren; one brother, Joe Nikodim; a special friend, Loretta Painter; many other relatives and friends; and his beloved dog, Dalton. Funeral services for Ernest Nikodim were held on Friday, March 17, 2017, at 11:00 a.m. at Bland-Hackleman Funeral Home with Pastor Doug Reynolds officiating. Burial followed in Virgil City Cemetery under the direction of Bland-Hackleman Funeral Home. Pallbearers were: Brian Nikodim, Chase Thompson, Brad Newman, Howard Nikodim, Doug Nikodim, and Jim Nikodim. Honorary pallbearers were: Joe Nikodim, Jr., Steve Nikodim, and Justin Carroll.